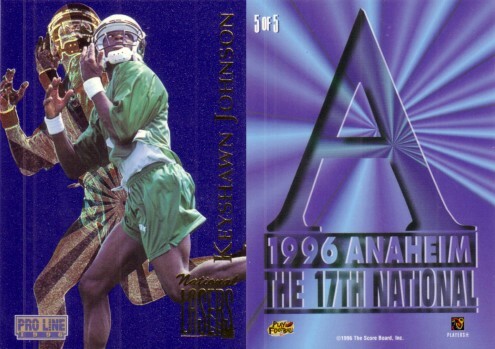 Keyshawn Johnson 1996 Pro Line Lasers promo card distributed exclusively at the 1996 National Sports Collectors Convention in Anaheim. NrMt. ONLY ONE AVAILABLE FOR SALE.